Michael Levey is a skilled business law attorney who focuses on the full business lifecycle of physicians’ and dentists’ practices, with broad experience in matters critical to the health care industry. His substantial know-how extends from the formation and maintenance of Wisconsin service corporations, through drafting, reviewing, and negotiating employment agreements, to sales and purchases of practices and practice assets, practice buy-ins, mergers, and practice separations and dissolutions. Michael is experienced with a myriad of other complex and ever-changing challenges that providers face, on a daily basis, in the modern regulatory health care environment. His clients include individual physicians and dentists, medical and dental practice groups, and other privately held and nonprofit businesses that operate in the health care industry. Michael is a frequent and highly regarded speaker on business matters relating to individual physician and professional group practices. Michael serves as a valuable member of Quarles & Brady's Financial Services Industry Team, and his extensive business law experience also includes serving as outside legal counsel to a number of privately held businesses that operate in various industries and to a variety of nonprofit corporations exempt from federal income tax under various provisions of the Internal Revenue Code. 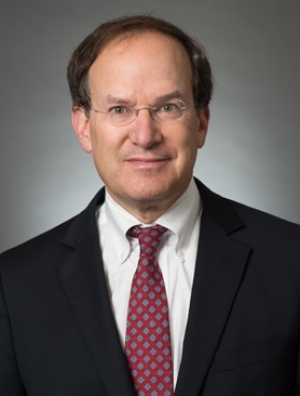 His breadth and depth of experience enable him to serve as a trusted adviser to a number of Wisconsin-based privately held companies in connection with general business matters. Michael also serves as the firm's national pro bono partner. Recognized as Best Lawyers® 2015, 2017 Milwaukee Health Care Law "Lawyer of the Year"